Melissa Beale Stevens began studying ballet in Killeen, Texas, at the age of 6 and has never gotten out of the studio since! Three years of Vaganova training, then her family moved to Decatur, GA, where she studied under Marie Roberts and Hilda Gumm at Decatur School of Ballet, joining the company there at age 12. She began her assistant teaching in high school and continued at Atlanta School of Ballet, where she was a member of the company for 2 years under Robert Barnett and Merrilee Smith. She attended the University of Utah as a dance major for one year, then returned to continue dancing, teaching and choreographing for the company now know as Decatur City Dance. 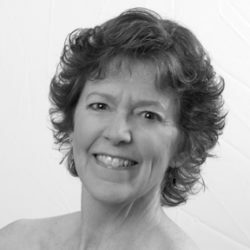 She received scholarships to attend Craft of Choreography conferences through NARB as a dancer and as a choreographer, being one of the first recipients of the Monticello award for women choreographers. She began at Lilburn School of Ballet with NEAB in 2007 and, although she never planned to teach as a career, it is and has been a great joy in her life and she doesn’t plan to leave the studio anytime soon!